It was pretty clear beforehand that the international match between sides of French and American professionals which had been carefully arranged between the French Association and the United States Golf Association would be a close thing and opinions differed as to the probable result. I think few people were prepared for the Americans losing everything as they did. The arrangement was that on Monday, June 30, and Tuesday there should be two four-ball matches and four singles on the following day. John McDermott, Tom McNamara, Mike Brady and Alec (later known as Alex) Smith made up the American team, while Arnaud Massy of Nivelle, Louis Tellier of La Boulie, Jean Gassiat of Chantilly and Pierre Lafitte of Bordeaux were the representatives of France. Massy and Tellier opposed McDermott and McNamara on the first day. Massy was somewhat erratic in his long game, but Tellier was putting extremely well, running down a twenty-five yards putt at the second and a ten-yarder at the sixth, and doing all his holing out with great confidence. At the eighth both the Americans hit the pin with their approaches. Massy and Tellier were 3 up at the end of the first round and they won the match in the afternoon by 3 and 2. Brady and Smith were 2 up n Lafitte and Gassiat at the interval, but Lafitte played a fine game in the afternoon and it was chiefly through him that the Frenchman won by 3 and 2. It was rather a surprise to find the French winning the singles as easily as they did on the following day. Lafitte was put against McDermott and the latter was 2 up at the ninth. He did not putt well afterwards and the Frenchman gradually gained the upper hand. Each of the matches was over thirty-six holes and in each case the Frenchmen led at the interval. Massy did his first round in 70 and McNamara could not be blamed for being 4 down at the end of the round and did very well indeed to be 1 up at the eleventh as he was. A curious incident happened at the fourth where a long second by Massy landed the ball in a spectator’s pocket. In the end Tellier defeated Smith by 6 and 4. Gassiat defeated Brady by 5 and 3. Lafitte defeated McDermott by 3 and 2 and Massy defeated McNamara by 2 and 1. 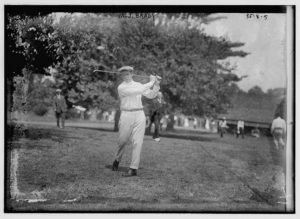 Tellier came to the United States to play in the 1913 U.S. Open at The Country Club in Brookline, Massachusetts. He finished tied for fourth. After a short return visit to France, Tellier returned to the U.S. in 1914 to become head professional at Canoe Brook Country Club in Summit, New Jersey. He moved to The Country Club, site of the 1913 U.S. Open, in 1916 and to Brae Burn Country Club in West Newton, Massachusetts in 1919. 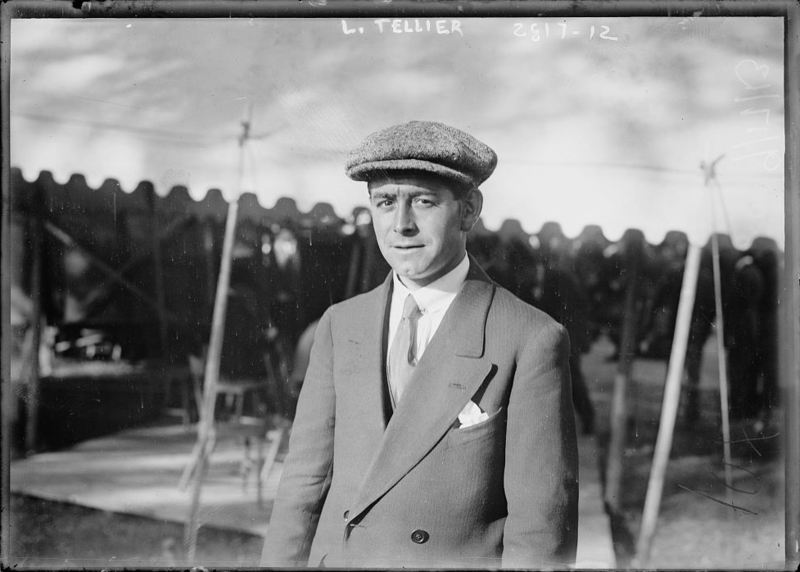 Tellier’s only significant win came at the 1921 Massachusetts Open a month before his death. On November 3, 1921, Tellier committed suicide at Brae Burn Country Club in West Newton, Massachusetts. He was found hanging by a small rope in a shed on the golf course. The motive of the suicide was not known but family members told authorities that he had not been feeling well for quite some time. McNamara was born in Brookline, Massachusetts to an immigrant Irish family. McNamara was the head professional at Wollaston Golf Club. During the 1909 U.S. Open, McNamara became the first man ever to break 70 in a competitive American tournament. 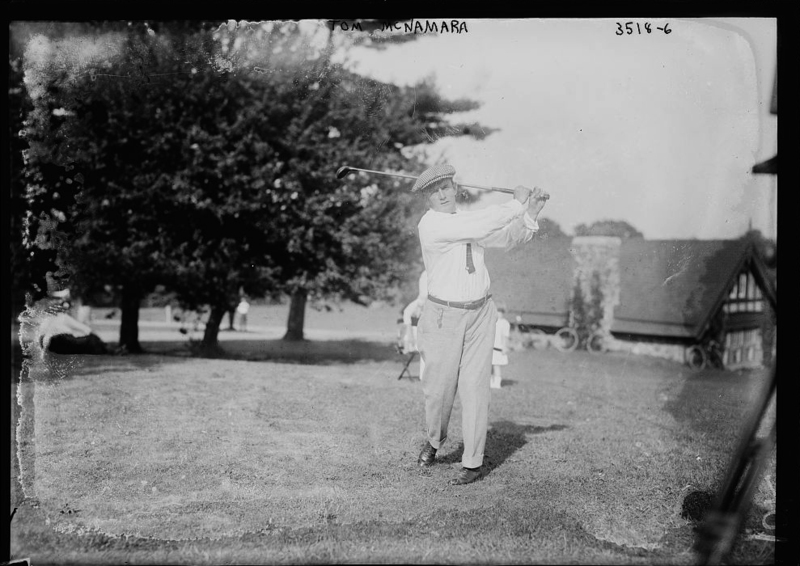 He held a three-stroke lead in the 1909 U.S. Open heading to the back nine. Due to the extremely hot temperatures, McNamara suffered a heatstroke on the 14th hole. After doctors treated him, he insisted on finishing the tournament. He succeeded in finishing, but his game collapsed down the stretch and finished second. The following year, 1910, he served as the head golf professional at the Fall River Country Club in Fall River, Massachusetts. McNamara was considered one of American’s best homegrown professionals during the early twentieth century. He was head professional at Siwanoy Country Club in Bronxville, New York. He proposed the idea of a national tournament to his boss, Rodman Wanamaker. McNamara was the manager of the golf department in Wanamaker’s New York City department store. Thus came the PGA Championship, first played in 1916 at Siwanoy Country Club. 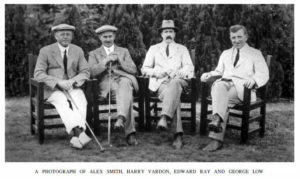 Alec Smith’s 1906 U.S. Open victory came at the Onwentsia Club in Lake Forest, Illinois. His 72-hole score of 295 was the lowest at either the U.S. Open or the British Open up to that time, and he won $300. The 1910 U.S. Open was played over the St. Martin’s course at the Philadelphia Cricket Club. Smith won a three-man playoff against American John McDermott and another of his own brothers, Macdonald Smith. Alex Smith played in eighteen U.S. Opens in total and accumulated eleven top ten placings. Smith died on April 21, 1930 at a sanatorium in Baltimore, Maryland. 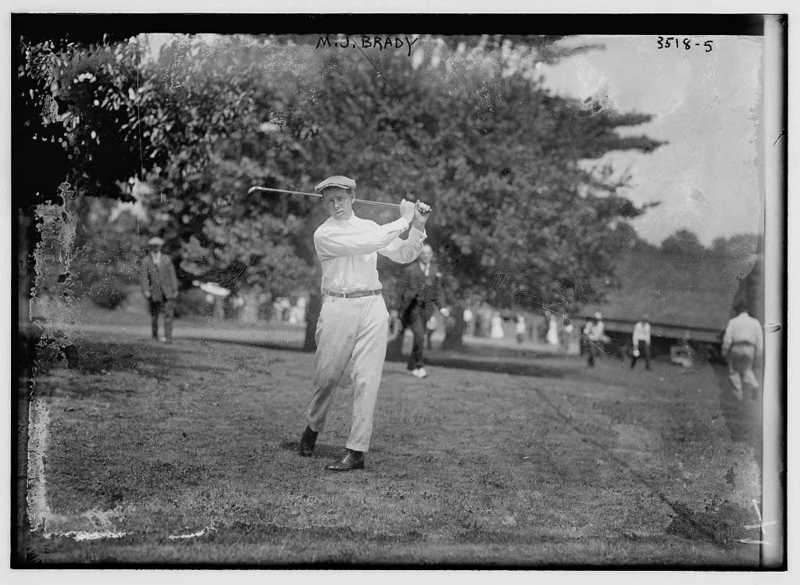 Brady won nine PGA events between 1916 and 1926. 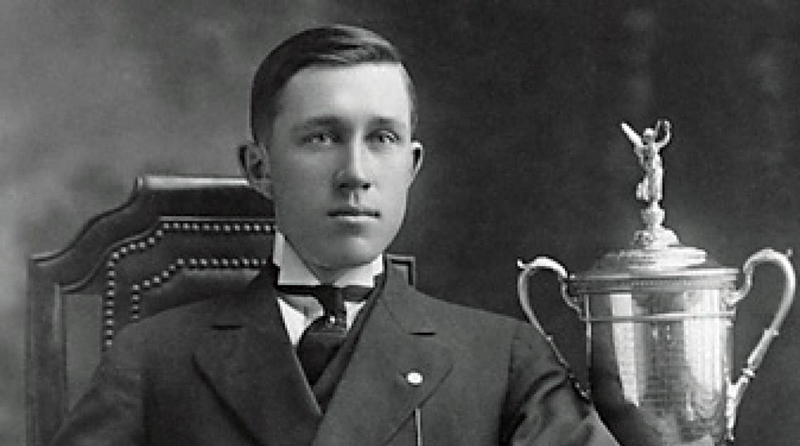 He lost in a three-way playoff to John McDermott in the 1911 U.S. Open. He lost to Walter Hagen in a celebrated playoff in the 1919 U.S. Open at the Brae Burn Country Club. Hagen promptly resigned his club pro job at Oakland Hills Country Club after winning and Oakland Hills promptly hired Brady. 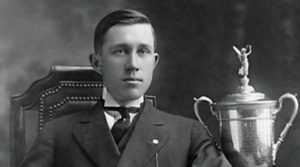 Brady subsequently won the 1922 Western Open at Oakland Hills. He lived, relatively peacefully, into his late 80s! That counts as a win.